Grayson College's West Extension is located near the North Texas Regional Airport-Perrin Field, just three miles from the Main Campus. This property is home to the College's Viticulture & Enology program and the Truck Driving School. Grayson College is home to one of the finest viticulture and enology programs in the southern United States. Our facilities, named after the famed Denisonian viticulturist T.V. Munson, are located near the North Texas Regional Airport - Perrin Field. The T.V. Munson Viticulture Enology Center is an instructional facility that rests on a hilltop above the T.V. Munson Memorial Vineyard where 65 varieties of the original Munson root stocks continue to grow. 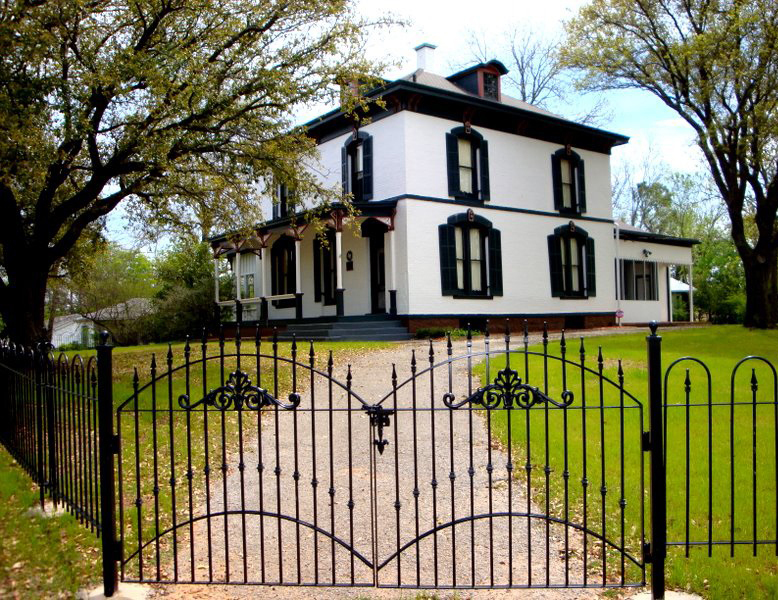 Additional historical sites related to the Munson legacy are owned by the Grayson College Foundation and located in the Cultural District of Denison. "Vinita" is the home where Thomas Volney Munson raised his family while conducting research that saved the French wine industry. It is located on the corner of Mirick and Hanna Streets. Across the street from "Vinita" is the Heritage Educational Center that houses memorabilia from the wine industry and offers space for gatherings and classes. "Vinita" House is located at 530 W. Hanna Street, Denison, Texas 75020, and the Heritage Center is across the street at 601 W. Hanna Street. Tours available upon request. For tours of the vineyards, please contact Andrew Snyder at snydera@grayson.edu or 903-786-2393. For tours of T.V. Munson's home, the Vinita House, contact Cindy Perez at perezc@grayson.edu or 903-463-8621.